Blencathra (or Saddleback) is one of the most northerly fells in the Lake District, to the east of Skiddaw. Blencathra lies to the north-east of Keswick. The area around Blencathra provides a good range of camping and caravan sites as well as a great selection of attractions and things to do. 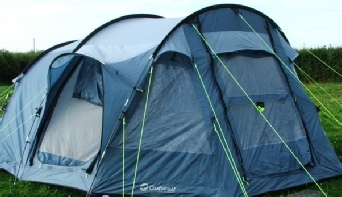 Check out the key information on the right and then explore the Blencathra camping and caravanning sites listed below. Blencathra is a popular mountain, and there are many different routes to the summit. One of the most famous is via Sharp Edge, a knife-edged arête on the eastern side of the mountain. Sharp Edge provides some good scrambling for those with a head for heights. Hall's Fell ridge, on Blencathra’s southern flank also provides an opportunity for some scrambling, though of a less serious nature. For more routes up Blencathra please see the Blencathra wikipedia entry.